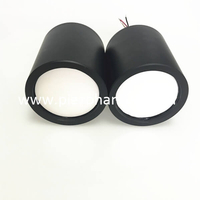 In order to improve the anti-interference ability and measurement accuracy of the ultrasonic ranging system, an appropriately selected PN can be used.The code replaces the single pulse signal as the encoded information. The noise signal is uncorrelated with the encoded information can be filtered by calculating the cross-correlation function of the echo signal; and the interference signal is associated with the encoded signal can be suppressed by determining the contour center of the cross-correlation function near the peak. In a specific implementation, the low frequency PN code is first modulated with a high frequency resonant frequency transducer center which carrier signal is applied transducer by a "logic control & power amplifier". Since the frequency characteristics of the transducer are similar to those of the bandpass filter whose center frequency is off, the square wave signal can be used instead of the cosine modulated signal to simplify the hardware structure of the system. 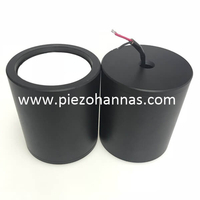 The piezoelectric transducer can be impedance matched to generate resonance under the excitation of the square wave signal, or an automatic gain control function can be added to the ultrasonic receiving circuit to suppress the reverberation phenomenon caused by the excitation signal. The input signal of the ultrasonic distance transducer and the output signal of the ultrasonic receiver (ASK signal). In the PN code, T6 is the symbol width and its 3dB bandwidth is 1 / (3Tb). Since the bandwidth of the transducer is about 4 kHz, in order for the signal to pass through the transducer smoothly, it is the echo signal received by the transducer. As can be seen from the figure, the echo signal is a slightly distorted ASK. The signal, but its envelope waveform is the same as the transmitted PN code (ie, the echo signal has the same encoding as the transmitted signal). Since the amplitude of the echo signal reflected by the close target is large, the echo signal can be distinguished by the ordinary threshold detection method. Therefore, a "1" code is added to the front end of the PN code to facilitate direct detection of the large-value echo signal. 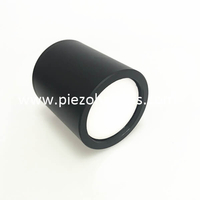 The measurement accuracy is analyzed as the propagation speed of the ultrasonic wave, and f is the sampling frequency of the ultrasonic distance measurement sensor. When the sampling frequency is set to 10 kHz, the resolution from the system is 0. 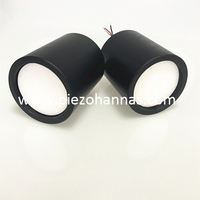 017 m. According to the general accuracy estimation method, the accuracy of the ultrasonic ranging system can reach ± 0. 05m. If the sampling frequency is increased ten times, the accuracy of the ranging system will also increase by ten times. However, the accuracy of the ultrasonic ranging system is also affected by changes in the speed of sound. The speed of sound in the air is related to temperature, turbulence, humidity and pressure, and the temperature change has the most significant effect on the speed of sound. A temperature change of 10 °C causes a change in the sound velocity is about 1.8%. The measurement error of the temperature is controlled within ± 0.1%. 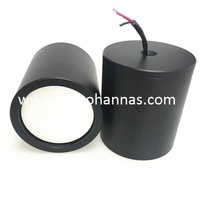 If the ultrasonic transducer has a working distance of 40 m, the measurement error of the full scale is ±0.04 m, which is of the same order of magnitude as the measurement error determined by the resolution of the long range ultrasonic distance sensor. Therefore, it is impossible to improve the measurement accuracy of the ultrasonic ranging system simply by increasing the sampling frequency of the system and ignoring the accuracy of the temperature sensor. The traditional ultrasonic ranging method of closed-value detection method has low processing gain and can only be used to measure strong echo signals .which can be used to detect weak signals. Therefore, the detection of weak signals must be solved by means of theories and methods of other disciplines (such as communication principles). which introduces the basic principle and function of the modulation and demodulation technology in the communication s system. By using the equivalence between the digital correlation method and the matched filter, the application of convolution (ie, matching detection method) is used to calculate the peak time of the cross-correlation function and correction formula; in order to improve the speed of envelope correlation algorithm, the fast ranging algorithm based on two-step correlation method is deduced and realized; the square envelope demodulation method with synchronous demodulation effect and the digital correlation algorithm based on pseudo-random code are introduced. 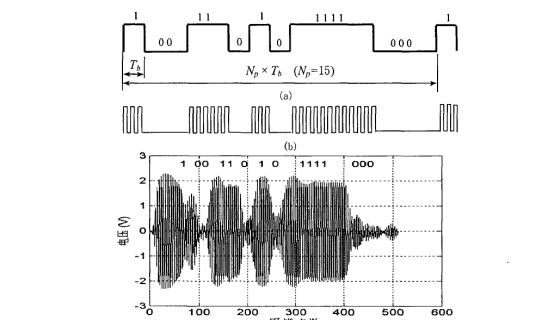 On the basis of this, the application of pseudo-random code ASK modulation signal to realize PSK coherent demodulation technology is proposed, which can realize complex ultrasonic spread spectrum ranging technology with simple hardware,which not only improves the anti-interference ability of ultrasonic distance measuring transducer. The cost is reduced. Finally, the influence of ambient temperature and sampling frequency on the accuracy of ultrasonic ranging and its countermeasures are briefly analyzed. Compared with the common synchronous demodulation algorithm, the square envelope demodulation algorithm used has higher operation speed, compared with the conventional envelope demodulation method, it has synchronous demodulation effect under the premise that the operation speed is basically the same.The processing gain of the demodulation method is improved by 3dB; compared with the ordinary ASK modulation and demodulation system, the ASK modulation PS proposed.